On September 11, 2010 at 10:00am, EST, The National Association of Muslim American Women (NAMAW) will issue a statement via an international radio broadcast, where they will provide proof that Muslims did not attack the US on 9/11. The program can be accessed at poweroftruthradio.com. "This is our humble effort to free Muslims from the unfair and unjust stigma that has been placed upon us by those who rushed to judgment after 9/11, and wrongly blamed Muslims and Islam for the attacks", says NAMAW founder and Chairwoman Anisa Abd el Fattah. "Since that time numerous experts in the fields of aviation, aeronautics, demolitions, architects, engineers and other scientists, and first responders have compiled an impressive body of proof, showing clearly that Muslims did not attack the US on 9/11, or at any other time. Abd el Fattah said further, that "We hope to provide some of that evidence for our listeners consideration, and also to read some of the testimonies presented by military experts, including a former NATO General and presidential candidate, calling for a new investigation based upon some of the same evidence we will present." 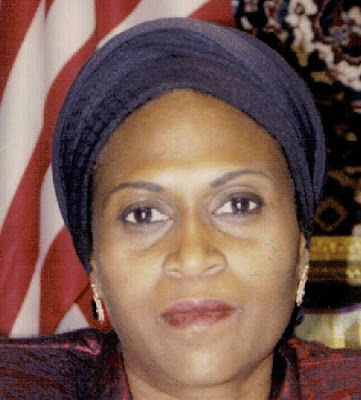 Along with declaring Muslim innocence based upon scientific proof that creates a reasonable doubt as to the truthfulness of the official 9/11 report, NAMAW will call for a new and independent investigation, and also for an apology and reparations to the families of the nearly 5 million Muslims killed in the so called war on terrorism launched in revenge for 9/11. To date 5 Muslim countries have been invaded, attacked and occupied as a result of 9/11 . NAMAW hopes that this action will end the violence and hatred against Muslims that resulted from the 9/11 attacks, the false charges and continued scapegoating of Muslims. Joe on Sun, 10/03/2010 - 8:11pm. Well, Joe, you did say, once, that you'd "love to see" something like this, didn't you? LV911Truth on Sun, 10/03/2010 - 10:40pm. Joe on Tue, 10/05/2010 - 7:23pm. has anyone listened to the radio broadcast? (i haven't). The 9/11 show is the only one in the poweroftruth archive. According to NAMAW's facebook page http://www.facebook.com/group.php?gid=14706628183 , they've been around since 1989- there's 267 facebook friends and http://www.namaw.org is 404. There's a blog w/ articles dating back to 2007- randomly clicking around, I found some polemical rants against Jews/Zionists- and Anisa Fattah, the founder, filed a complaint w/ the DOJ in 2007 alleging a coordinated effort by Jew/Zionist media/public figures to target/smear Muslims post-9/11. imho, this would be worth an empirical study and there might be grounds for some kind of lawsuit, but unfortunately she provided no substantive evidence to back up her opinions. imho, this kind of stuff is not worthy of the front page of 911blogger- and anyone who wants to see an honest investigation of whatever role Israel/Jews/Zionists played in 9/11 would do well to stick to promoting credible evidence- cuz the stuff based on opinion, speculation and misinformation only serves to discredit the 9/11 truth movement and turn off the general public. loose nuke on Mon, 10/04/2010 - 4:49pm. There is always a glass half filled or half empty way to look at these situations..
this got a front page on blogger [Bad link] Of course this had little credible evidence as was your criticism of NAMAW a national association of Muslim American women calling for a new probe into 9/11, questioning the validity of Muslims being targeted for the 9/11 crimes. But like Kevin Barrett and others have declared, (and have been banned from posting on 911blogger), and I agree with them that 911blogger has done a poor job in dealing with the Islamophobia produced by the 2001 false flag operation.. Your picking out criticism of this national association calling for a new probe, IMHO, is the wrong direction at this time to unite with true allies trying to deal with the holocaust and injustice especially to Muslims as the patsy in the case of 9/11/01 and beyond..
jonathan mark on Tue, 10/05/2010 - 8:44am. You organize teleconferences for 9/11 truth leaders. (A) Are you promoting a 9/11 'truth' conference in Iran? (B) Do you support the "Jews did it" canard? (C) Do you support Ahmadinejad's Holocaust denial? (D) LV911Truth, the author of this blog, attacked Donna Marsh O'Connor and 'questions' the Holocaust. Do you support his views and actions? Do the 9/11 truth leaders who attend your teleconference? (E) Do you support Kevin Barret's recent attacks against Cosmos/YT? Amidst all of this Holocaust denial, I, as a European, no longer feel at place in this movement. Maybe I should stop. SnowCrash on Tue, 10/05/2010 - 9:08am. A. I would promote a 9/11 truth conference wherever people want to discuss the facts on the case.. the evidence.. 19 Muslims should not be held responsible for an action using military grade explosives.. and followed up by US military anthrax with a fake letter from a Muslim... The issue of demolitions is key.. This issue has nothing to do with a religion or religions.. except how religions gets manipulated to confuse, divide, conquer, and obscure evidence of what is true. D. Part 1. More confusion.. and selective negativism..
"O´Connor´s statement about 19 terrorists attacking us on "our soil" was in error. For pointing that out we have to suffer the RIGHTEOUS INDIGNATION of people like Jon. How some of us are insensitive to her suffering, how embarrassed they are, etc. I think some of you need to just give it a rest and quit with the moralistic one-up-manship and melodrama. Submitted by dave mann on Fri, 08/27/2010 - 7:12pm. E. more selective negativism.. mud slinging..
likely as simple as misunderstanding..
i rather not give this my focus.. since nothing is clear on either end..
i can tell you that all my personal interactions with kevin barrett, beginning when we met at the original truther tea party event in boston, and interviewed on his program twice, http://noliesradio.org/archives/3991 and in an interview with Richard Gage, AIA - http://noliesradio.org/archives/13680, and at the We Demand Transparency conference in NYC on the 8th anniversary, Kevin has always been a positive force from my perspective in calling for a new 9/11 investigation based on facts, not spin. Our relationship has always been on a higher and truer level than the focus you have determined to focus upon and draw your conclusions from..
jonathan mark on Tue, 10/05/2010 - 12:00pm. SnowCrash on Tue, 10/05/2010 - 4:02pm. your summary of what i wrote is again selective negativism. I support a 9/11 investigation wherever it can be done fairly. i definitely support an international 9/11 probe as suggested by Iran. Muslims have been mistreated by the US false flag actions, and in this I agree with NAMAW and Ahmadinejad. I may disagree with other points.. Like I agree with Obama on some issues and not on others. Would you not support an international probe called for by Muslim leaders? Are you racist? Your selective negativism gives that impression. I did 'not condemn the attack on Donna Marsh O'Connor.' To me this was off topic and full of confusion. You may want to put me and others in bad light.. but it all comes from your projecting these issues that have nothing to do with the main topic here.. which is, in case you forgot.. the significance of a mainstream national association of Muslim American women calling for a probe into what happened that led to two shameful horrendous wars and tremendous Islamophobia. Regarding Kevin Barrett.. once you fixed him as a bad guy.. that is all you see.. I had not got into the mud slinging dual with Cosmos and Kevin.. More mud slinging in our group is really not needed..
What we agree upon is much more significant than our focusing on differences and disputes. How can you see this with a metaphoric splinter in your eye? Are we allies or do prefer being adversaries? jonathan mark on Sun, 10/10/2010 - 8:42am. So add to that, I am a 'racist' because I don't support a 9/11 'truth' conference in Iran, because I don't support the attack on Donna Marsh O'Connor like you do, and because I don't support Kevin Barret, including his attacks on Cosmos/YT. Real classy. SnowCrash on Sun, 10/10/2010 - 8:51am. i 'asked' if you were racist because of your off topic posts and attacks on those reporting that a national association of Muslim woman called for a 9/11 probe. sometimes people can only see such posts in such a negative light because of their internal biases and perceptions distorting such a message..
jonathan mark on Tue, 10/12/2010 - 9:16am. I explained very clearly what I think about Holocaust denial, Holocaust deniers, and people who attack 9/11 family members such as Donna Marsh O'Connor, who took a valiant and courageous stand for this cause. Such people get no sympathy from me. I don't support a 9/11 'truth' conference organized by a theocratic, anti-semitic, Holocaust denying dictator who jails bloggers, hangs homosexuals, suppresses free speech, and jails and tortures political dissidents. That position, Jonathan, is nothing to be ashamed of, it's a position to be proud of. Furthermore, I have said absolutely nothing yet about NAMAW. Let my position be clear: I side with Erik Larson on this matter. You are race baiting, using a propaganda tactic called "source amnesia". I must admit, you take me by surprise by sinking this low. SnowCrash on Tue, 10/12/2010 - 10:52am. nothing in this post has anything to do about holocaust denying or attacking anyone, except you are attacking based on allegations that are off topic.. and i refuse to get into your game..
jonathan mark on Wed, 10/13/2010 - 2:23pm. You have access to and some degree of influence over 9/11 truth leaders and spokespersons. That is very much on topic in any thread. Nevertheless, let's break this off, I've had enough and I know enough. Perhaps there are simply unbridgeable philosophical and ideological differences between different sections of the TM. SnowCrash on Wed, 10/13/2010 - 3:16pm. I suggest if you want to deal with such issues, and reasons for attacking some of those posting at 911blogger.. instead of doing this in comments on a post about Muslim American women joining our cause for justice, truth, and freedom.. I would suggest starting a new blog directly about the objections you have. If I was a Muslim women drawn to this post.. this side argument is simply disrespectful for the serious topic of Islamophobia and abuse of the Islam religion by the false flag op of 9/11. jonathan mark on Fri, 10/22/2010 - 11:42am. I wish it was front page news somewhere. It would be, if we had a real Fourth Estate. pfgetty on Mon, 10/04/2010 - 6:53am. Not sure why 911blogger chose to put this story in the blog section rather than 'front page'. I have been waiting for such an ally to demand truth and reality in such a way . . rather than continuing the scheme to divide and conquer America and world. jonathan mark on Mon, 10/04/2010 - 11:21am. Should be FRONT PAGE at 911blogger at the very least. The Much Maligned Muslims are speaking out. While in New York to speak at the UN, Ahmadinejad met with and spoke to 100 influential Muslim leaders. You know 9/11 was brought up. Joe on Mon, 10/04/2010 - 4:13pm. In this (911blogger) environment, 'front page' means in the 'news' category rather than just in the 'blogs' category. The news page is 'home,' that is, it's what comes up when you log on to the URL. BTW, pfgetty, I have a comment to write on the alternative news topic. To put it in the correct place, I will write it in your blog entry on that topic. Student on Sun, 10/10/2010 - 1:40pm. I BEG you, put this story on the front page. Not for me - for the oppressed Muslim people. FIVE MILLION MUSLIMS have been KILLED in what are basically ILLEGAL WARS OF OCCUPATION. Ms. Fattah calls it GENOCIDE. There has been TORTURE and all manner of killings in Muslim nations - all in the name of 9/11 - and NOT ONE SHRED OF PROOF THAT MUSLIMS HAD ANY INVOLVEMENT IN THE CRIMES. For God's sake, please, PRINT THIS STORY. Ms. Fattah's speech is the most FACTUAL and REASONABLE speech you could ever imagine. She cites FACTUAL evidence. NO conspiracy theory, NO misinformation, NO lies. HER PEOPLE HAVE BEEN SUFFERING A BRUTAL OCCUPATION. SHE DESERVES TO HAVE HER VOICE HEARD FOR ONE HOUR. Her story should be on every 9/11 website. I'm out of words. Somebody help me talk some sense into the editors here at 911Blogger. I'm finished. LV911Truth on Mon, 10/04/2010 - 6:36pm.